Everyone has always heard that 'weird things' happen when there's a full moon outside. These weird things range from an increase in aggression to an increase in sleepwalking. The beliefs are held so strongly in society that an English laborer named Charles Hyde was found not guilt of murder because he was "under the spell of the full moon" http://lunar.ksc.nasa.gov/history/mythologyh.html. Can something that happens every 29.5 days actually make people act differently than they usually would? The origination of this belief lies in ancient folklore and the ideas are bolstered by the media. Eventually people started to question the beliefs. In a non-scientific journal, it was published that both the earth and humans are made up of 80% water. In the same way the moon plays a role in the tides; the moon will affect the way that people act. Also, many people published studies with results that 'proved' the moon's affect. Scientists went through hundreds of these papers claiming that the full moon had an effect on a person's actions. Every study "failed to show a reliable and significant correlation (not due to chance)." In a paper about psychiatric admissions, there were so many errors that the results actually found that admissions were the lowest when there is a full moon. Scientitsts also looked into the moon's affect on water. It was concluded that the moon only exerts a force on unbound water. 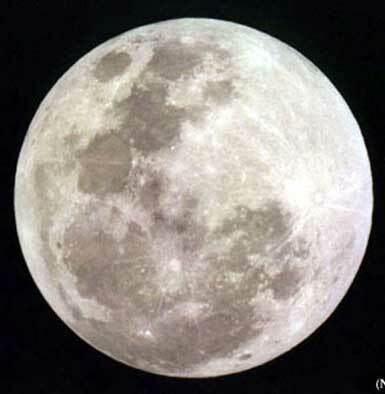 The water in the human body is bound and is therefore unaffected by the moon http://skepdic.com/fullmoon.html. Even though all of the studies show there is no correlation between the full moon and a person's actions, I feel like I see an increased amount of 'craziness' during a full moon. My belief is a common error in the way people observe their surroundings. Psychologists state that "individuals are more likely to notice events that support their beliefs than those that do not". In essence, the affect of the full moon is just a common case of illusory correlation. I have heard that actually the worst day for injuries, and accidents is mischief night. The fact you see more during the fullmoon is your looking for it when normaly you don't. Are you in love with the moon? You've done two posts about it! Anyway, i found this blog to be very interesting. Im writing a thesis on the effects of the moon on the human psyche. Wolfmen would be a great idea for your next blog! It will be highly entertaining to read and you can continue your love affair with the big white ball in the sky! !